In this paper we report about a case study on the functional verification of a System-on-Chip (SoC) with a formal system-level model. Our approach improves industrial simulation-based verification techniques in two aspects. First, we suggest to use the formal model to assess the sanity of an interface verification unit. 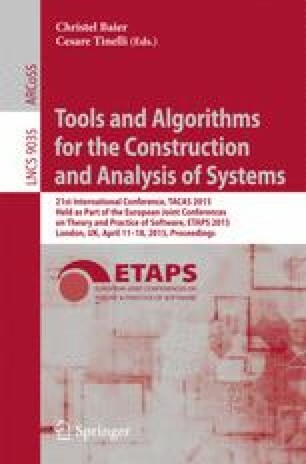 Second, we present a two-step approach to generate clever semi-directed test cases from temporal logic properties: model-based testing tools of the CADP toolbox generate system-level abstract test cases, which are then refined with a commercial Coverage-Directed Test Generation tool into interface-level concrete test cases that can be executed at RTL level. Applied to an AMBA 4 ACE-based cache-coherent SoC, we found that our approach helps in the transition from interface-level to system-level verification, facilitates the validation of system-level properties, and enables early detection of bugs in both the SoC and the commercial test-bench.